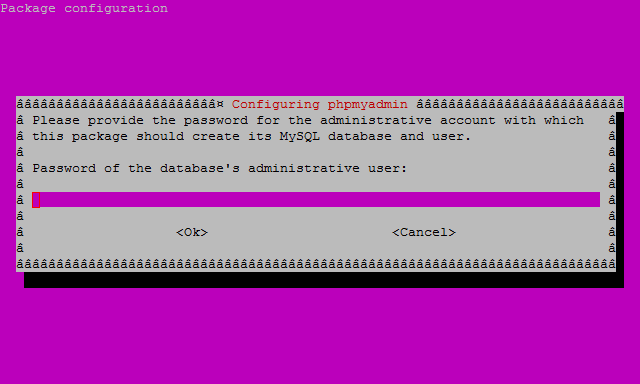 phpMyAdmin is a free open source tool used as an interface for the management of MySQL. In addition to providing the ability to execute queries such as create, update, or delete, and managing users and permissions. phpMyAdmin provides a GUI to do all of these tasks and more. First, before all we should make sure the list of available packages is up to date before installing anything new by running following command on terminal. 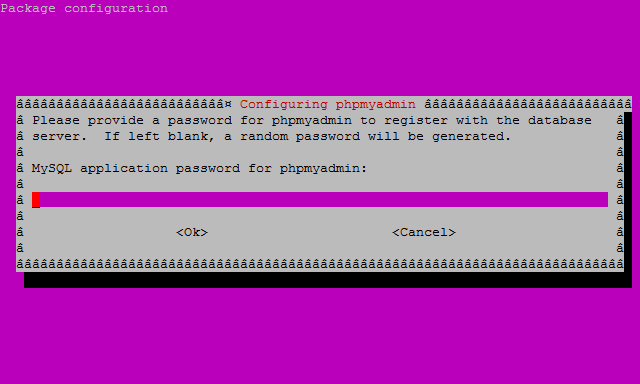 Now run following command on terminal to start installation of phpMyAdmin. While phpMyAdmin installation process running, you will get requested a few a quick question regarding the basic settings of phpMyAdmin. In the first prompt screen, select the installed web server in your machine by using the spacebar. In my case, I will select apache2, then hit enter to continue. 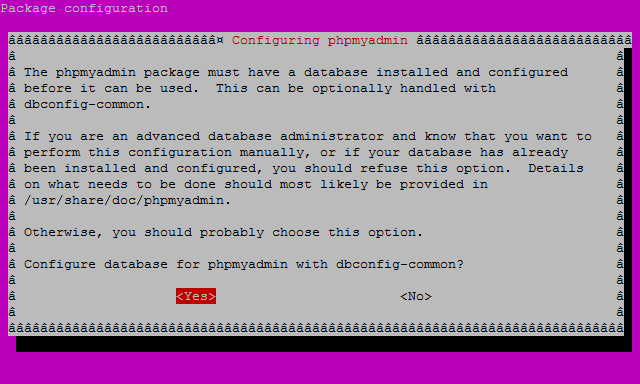 At the second prompt screen, which asks “configure the database for phpmyadmin with dbconfig-common?”, choose Yes, then hit enter to continue. At the 3rd screen enter MySQL password, then hit enter to continue. At the 4th screen set the password you’ll use to log into phpMyAdmin, and then hit enter, on next screen confirm your password hit enter and continue. Open /etc/apache2/apache2.conf fine in any your favorite editor. Here I am using vim. That’s all done. Now run it by visiting http://IP_Address_of_Server/phpmyadmin or on local machine visit http://localhost/phpmyadmin.